Integrating Zapier with the platform will allow you to trigger a custom action once a visitor submits an opt-in form of yours, the platform will communicate the subscriber data (first name, last name and email) to your Zapier account and will make it available to manage using the +500 services integrated to Zapier! 4. Copy the URL from the box, like explained in the picture below. 5. 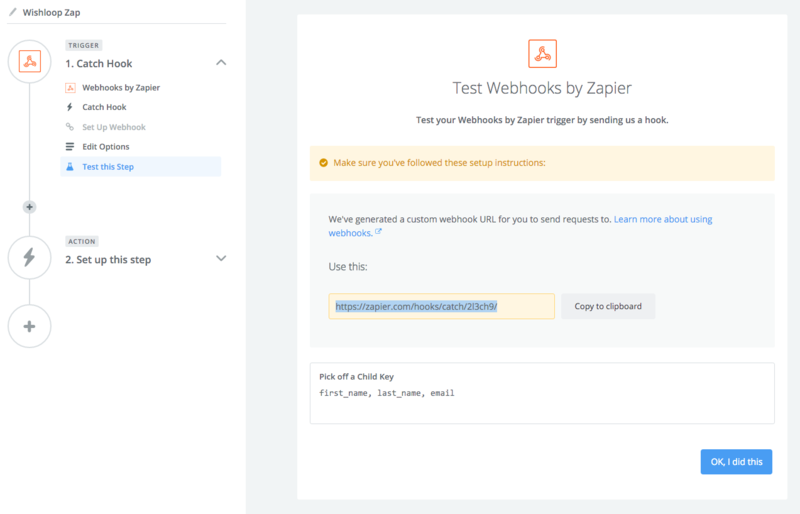 Then from your “Dashboard” > “Settings” > “Integrations“, click on “New Integration” then paste the copied URL in the “Zapier Webhook URL” field, then go back to your Zapier dashboard and click on “OK, I did this“. 7. Go back to your internal platform dashboard and click on “Create new Test Subscriber“. 8. The platform will “ping” Zapier, and after a few seconds, you’ll see the following success message. All done! 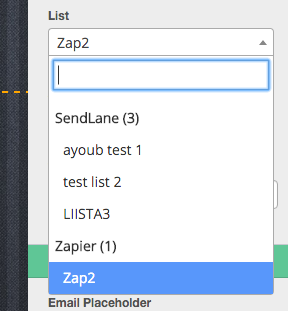 All you need to do now is to complete the Zap setup with your desired action and use the newly linked Zapier account as a “List” from the builder in the opt-in form settings.